This is scary. I love how the fact that no one will give him dead bodies to resurrect is referred to as his “predicament”. 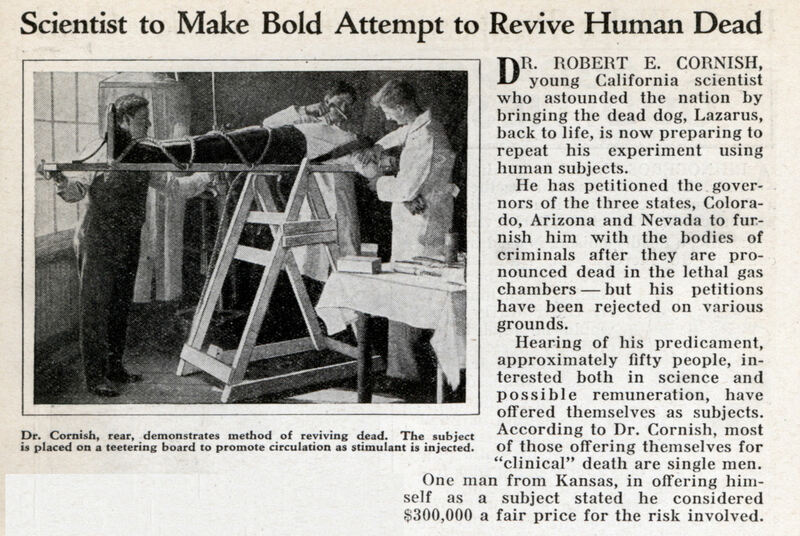 DR. ROBERT E. CORNISH, young California scientist who astounded the nation by bringing the dead dog, Lazarus, back to life, is now preparing to repeat his experiment using human subjects. He has petitioned the governors of the three states, Colorado, Arizona and Nevada to furnish him with the bodies of criminals after they are pronounced dead in the lethal gas chambers â€” but his petitions have been rejected on various grounds. Hearing of his predicament, approximately fifty people, interested both in science and possible remuneration, have offered themselves as subjects. According to Dr. Cornish, most of those offering themselves for “clinical” death are single men. One man from Kansas, in offering himself as a subject stated he considered $300,000 a fair price for the risk involved. Ermmm (cough cough)….Zombies (cough cough). 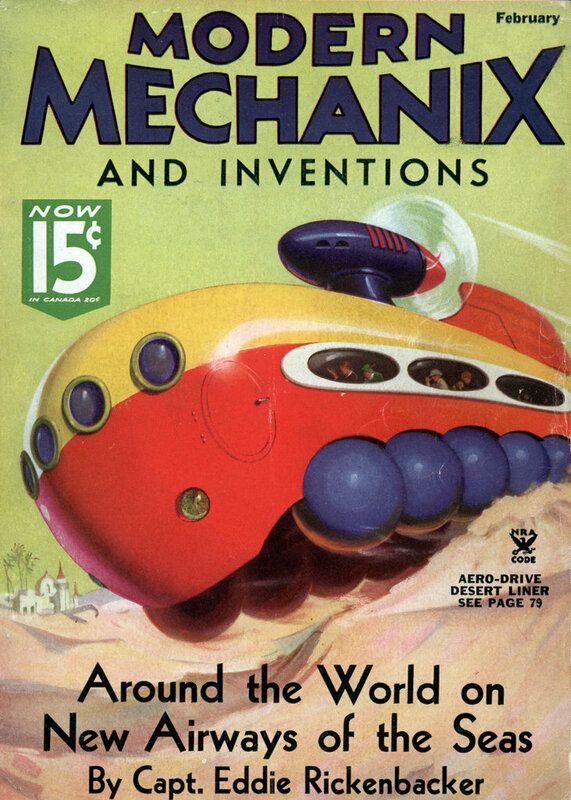 Actually, didn’t they try this with some special radiation from a space probe that returned from Venus? In the 1930s and 1940s there was a whole cycle of eerie and morbid Hollywood chillers on the theme of reviving the dead. Many starred Boris Karloff as a mad scientist, but one that didn’t was Supernatural (1933), in which another meddler in Things We Were Never Meant To Know realises Dr Cornish’s ambition of being allowed to experiment on an executed criminal. It’s a poor film, but the scene in which the boffin attempts to re-animate the dead body by electricity is memorably sick and strange. In popular culture, this period seems to have been the high-water-mark of interest in the subject of defeating or by-passing death by scientific or other means (spiritualism, etc). I dare say the Depression, the mass slaughter of the First World War and the ‘flu pandemic, and the almost magical progress of contemporary science and medicine all had something to do with it.